I stumbled upon the perfect moon stamp that wasn’t a crescent and actually gave some dimension to the moon. 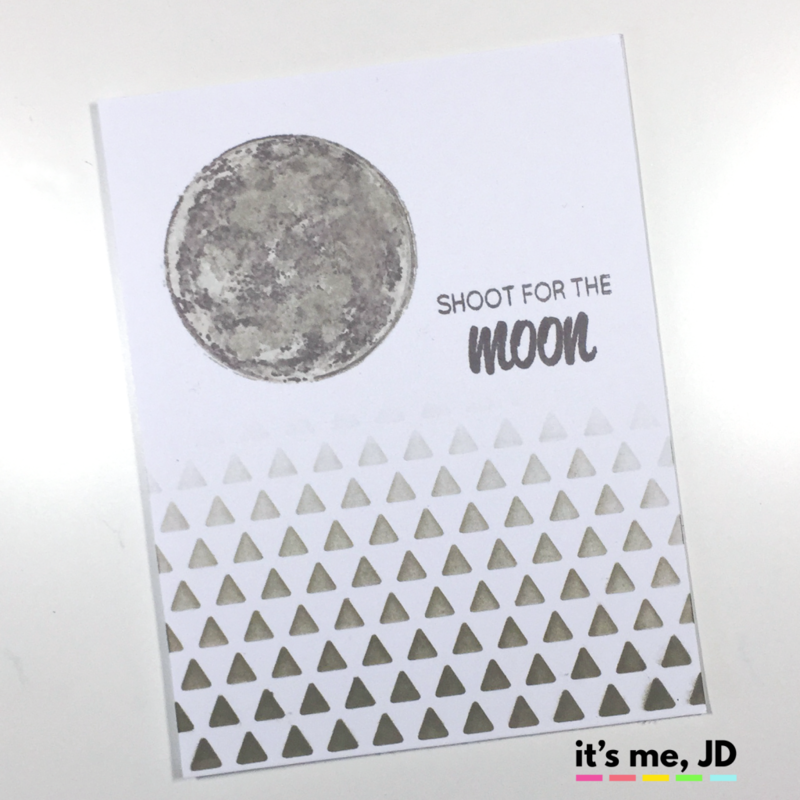 Space and galaxy themes are popular in arts and graphics, cards especially. This was a layering stamp that I used different shades of grey to stamp with. With the assistance of a MISTI stamping tool, layering stamps are a cinch. 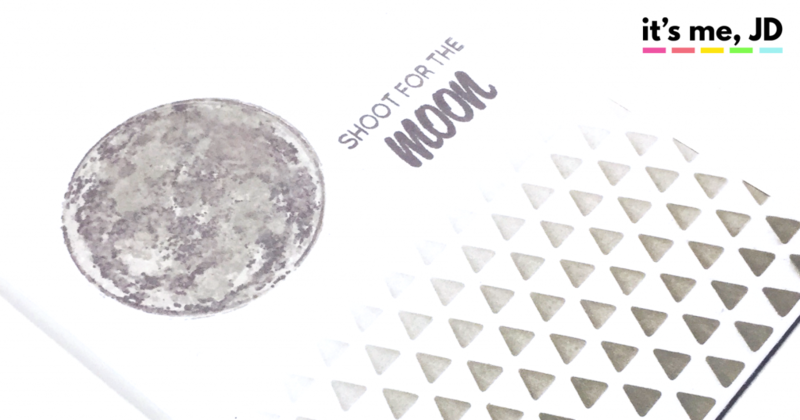 Then I decided to do a sort of faux ombre pattern effect pointing to the moon. I wanted this to look really modern looking. I stuck a stencil on partially on the card base then ink blended one ink color in different intensities to get the ombre effect. 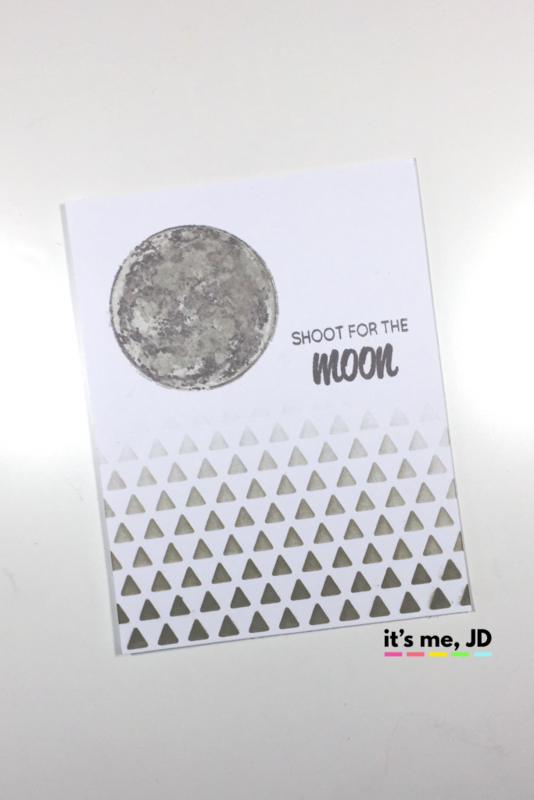 Shoot for the Moon Ombre Pattern Card, done and done.